RFID protection is needed as a new Android application seems capable of siphoning credit card data from contactless bank cards. “Robbed by radiowave” – The Sun newspaper takes this story to a national audience! Channel 4 News reveals that millions of Barclays card customers could be exposed to e-pickpocketing! RFID chips – secure or vulnerable? You decide. Quiet Rooms – the latest development in electronic counter-surveillance measures? Our system is 100% foolproof – until the moment when it isn’t anymore. Say hello to Sykipot malware!!! October 2011 – National Identity Fraud Prevention Week. US Passports now have foil linings – we wonder why??? Consumers don’t like RFID technology. Contrary to American Express ads, most people would rather leave home without it. BlackBerry mobile phones – implicated in erasing smart card data? A decade of database hacking and potential ID theft? US Attorney General issues warning about ‘contactless’ RFID microchip crimewave? David Beckham – victim of RFID hacking and car jacking! Going, going, gone – RFID car-jacking! It’s the stuff of movies. A criminal gang that sets out to steal hundreds of cars, each in under 60 seconds, using the latest in high-tech gadgets to facilitate their heist. But for David Beckham, Hollywood fiction became a reality when in April 2006 criminals used a simple laptop and RFID scanner to crack the electronic door locks of his BMW X5. Once the locks were cracked they then fired up the ignition and drove away – gone in just 15 minutes! So how was this possible? After all the RFID industry has gone to considerable lengths to reassure us that ‘contactless’ chips and ‘smart keys’ are 100% secure, and not vulnerable to ‘skimming’. The technique requires a laptop, an RFID scanner and software capable of probing for encryption weaknesses. It only takes about 15 minutes for the software to explore millions of possible encryption answers, before finding the one that fits with the vehicle’s unique identity. The thieves then submit an identical code to the vehicle, which allows them to ‘boost’ it. 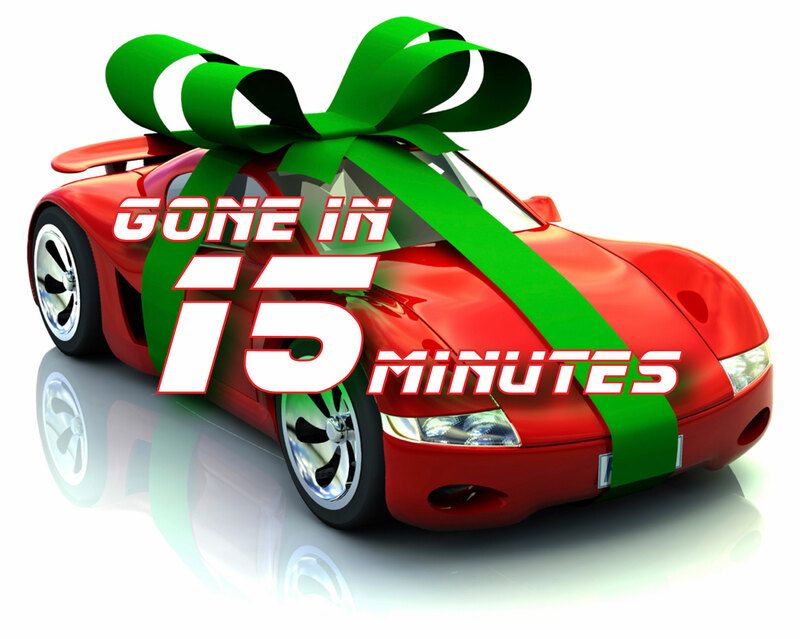 15 minutes – it’s not long. About the time it takes to park up, leave your vehicle and order at a restaurant, which seems to be what happened to the Beckhams. And it just goes to show that no security system is 100% fool-proof, however peace of mind may soon arrive as British company RFID Protect hopes to manufacture RFID shielding sleeves that are specifically designed to protect a vehicle’s ‘smart key’ against unauthorised probing. This month sees AutoExpress reporting on a new twist to this story. It transpires that BMW has at last accepted that there is an issue with its keyless entry systems on cars issued between 2007 and September 2011. BBC’s Watchdog television programme highlighted a problem with certain models (specifically BMW X5 & X6) in June of this year, and since then a number of high profile cases have come to light. One story in particular demonstrates the problem that BMW is now facing, because when London-based consultant Eric Gallina had his car stolen from outside his home he couldn’t understand how thieves had taken it. Mr Gallina still had the two factory-issued master car keys in his possession, and there had been no evidence of vehicle break in (i.e. there was no broken window glass at the crime scene). Easier said than done, and some will wonder whether this guidance from BMW has really been thought through, or goes far enough to address such a serious security flaw? I am intersted your product range, please send rate. I am using a small metal box from a “SUCRETS” pastils for caugh box. Size: 3¼” X 2½” X 1″. Is this method of doing be a good RFID Sheilding for my GM Passkey III+ System. My best advice is to consult with the manufacturer (GM), although what you’re hinting at is a DIY Faraday cage; which ought to do the job. Be aware, that we have heard about a new generation of ‘jacked up’ high-power RF scanners hitting the streets – and some experts are claiming that even aluminium foil shields are not always going to be enough to prevent unauthorised access in such instances!!! It’s a case of shifting goalposts all the time, although taking some action is better than doing nothing I guess.